Denny’s is known as “America’s diner,” thanks to clever marketing. The restaurant is open 24 hours a day and provides classic dishes that you’d find at any 1950’s diner, including the grand slam breakfast, burgers, and milkshakes. They’ve also expanded their menu recently by offering a fit fare section for the health conscious and a 55 and over selection for AARP discounted prices. If you’re on the ketogenic diet, you’ll be happy to know that Denny’s offers plenty of low-carb options if you order them properly. 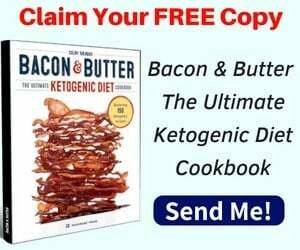 But keep in mind that you can prepare a much healthier meal at home that meets all of your ketogenic needs with better ingredients than you can at most restaurants. 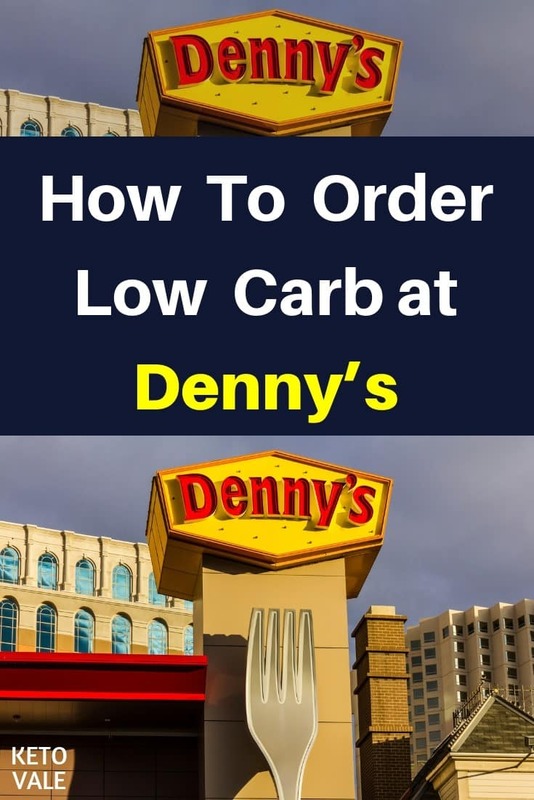 Follow our tips for eating low-carb at Denny’s the next time you find yourself out with friends or family without any other options for food to make sure you don’t accidentally eat something you shouldn’t! According to their website, Denny’s started out as a donut shop before changing its name and turning into a 24-hour coffee shop. It introduced the grand slam breakfast in 1977, and the rest is history! If you’re not familiar with the grand slam breakfast, here’s what you get: two buttermilk pancakes, two eggs sunny side up, two bacon strips, two sausage strips, and your choice of hash browns or toast along with juice and coffee. This meal alone tops out at 1990 calories! As you can see, Denny’s isn’t exactly known for being a healthy place to eat at. Although their burgers are made from 100 percent beef, there is nothing on their website to indicate that they pay particular attention to what goes in your food. In other words, just like at most fast food choices and restaurants, your meats and cheeses might probably be conventionally-raised and pumped full of antibiotics, hormones, and other additives before being cooked in highly inflammatory vegetable oils. 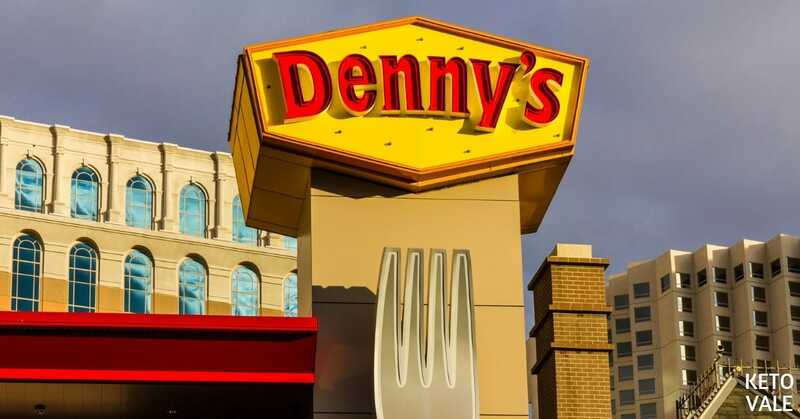 Although the Denny’s menu indicates that they don’t add partially hydrogenated oils to their food, we doubt that they are cooking with organic coconut, avocado, or olive oils. There are also lots of opportunities to sabotage your ketogenic diet by ordering a side dish that contains refined sugars or too many carbs. This is why it’s always best to purchase organic, grass-fed, and pasture-raised meats, cheeses, eggs, and low-carb vegetables at the grocery store and cook them at home using healthy oils. Here are some tips to help you keep it low-carb while ordering at Denny’s. Denny’s has a festive flavors section of their menu that features holiday-inspired dishes. What this really means is that you’ll be indulging in processed carbohydrates and refined sugars by attempting to get into the holiday spirit. Some examples of items on the menu include the pumpkin spice pancake breakfast, cinnamon roll pancake breakfast, and several different dessert options. Our advice is to skip right over this section of the menu and feast your eyes on the meat-based dishes instead. The fit fare menu is one you might want to take a look at. It offers dishes such as wild Alaskan salmon, the fit slam, and sirloin steak. But even this portion of the menu will require some tweaking to make sure you order a low-carb side dish. This brings us to our next tip. Several places on the Denny’s menu mention that you can customize your meal. We recommend taking advantage of this by building your own meal whenever you can. Keep in mind that you don’t always have to order off the menu. Your server should be able to accommodate whatever you normally eat. For example, if you usually have eggs for breakfast, then ask for an omelet made with low-carb veggies such as spinach, onions, and mushrooms, and a side of bacon or sausage. Hold the toast and hash browns. If you like to enjoy a salad at lunch, ask for a large house salad with grilled chicken or steak, hard-boiled eggs, bacon, and avocado with oil and vinegar dressing. Dinner can be as easy as ordering a bunless and sauceless burger with a side salad instead of fries or a steak with double steamed vegetables in place of rice or a potato. Denny’s menu is so extensive that they should be able to whip up whatever you request of them. If your goal is to eat low-carb at Denny’s, then you won’t have to be as picky about what you order when compared to someone on the ketogenic diet. For example, Denny’s offers seasonal fruit that would make a great low-carb substitute for toast when ordering a breakfast dish, but it still contains too many carbs for ketogenic dieters. If gluten-free and dairy-free are your only dietary restrictions, then you can safely order hash browns with your omelet. Just be sure to hold the toast and get fruit instead. We recommend knowing exactly what your dietary needs are before you go into Denny’s to make sure you don’t accidentally kick yourself out of ketosis or order something that contains wheat or dairy in it if you have other restrictions. You can always view the Denny’s menu to determine which foods are gluten-free (they will be marked with a “GF”) or visit their website for individual food nutrition information and macronutrient values. Some restaurants like to add milk to their scrambled eggs and omelettes to make them fluffier. If you’re on a low-carb diet, especially keto, then milk should be avoided because it contains too many sugars and carbs. Ask to have your eggs prepared over-medium or have your server make sure the cook knows not to add milk to your eggs. The nice thing about Denny’s is that they are open all day and night. This means that you can usually order breakfast anytime you want. Breakfast is yummy any time of the day. It also serves as a great low-carb snack whenever you need something light. Additionally, most breakfast dishes aren’t too hard to custom order. You just need to ask for no hash browns or toast. Things get a little trickier when you try to order a more complicated dish, such as their turkey and dressing dinner pack. Here’s what to order for each meal at Denny’s. It’s pretty easy to custom order just about any dish at Denny’s, but some aren’t worth your time. The following dishes contain too many unhealthy ingredients and should be avoided at Denny’s. We recommend sticking with one of the safer options listed above and ordering them in the way we suggested to make sure you’re getting a low-carb meal. Denny’s isn’t the healthiest place you can eat at, but they are open 24 hours a day and have tons of low-carb options. You just have to know how to order them. We recommend eating at home whenever possible because you’ll have more control over what you’re eating and how much. Breakfast is always a good option because you can get eggs, meat, and cheese without any added sauces. You’ll just want to hold the hash browns and toast. Try to add in some low-carb veggies whenever you can, such as when you build your own omelet and be sure to ask to have your eggs prepared without any milk. You can also get a steak, sandwich or burger at Denny’s. Just be sure to ask for no bun or sauce on your burgers and sandwich. Steaks will need to be ordered with steamed broccoli or a house salad (no croutons) with oil and vinegar dressing. As always, stay away from desserts, sweetened beverages, and starchy side dishes such as French fries and onion rings. If you prefer cooking at home (and you should), don’t forget to check our keto food list and meal plans for more cooking ideas.